I may be bias but my kid's IQ is good, however, his old academic performance from school tells something else. So, to keep him motivated, we made a deal that if he ever makes it to the top 3, he gets to play with his PSP even on weekdays. And, surprisingly, he made it with 3rd academic honors. 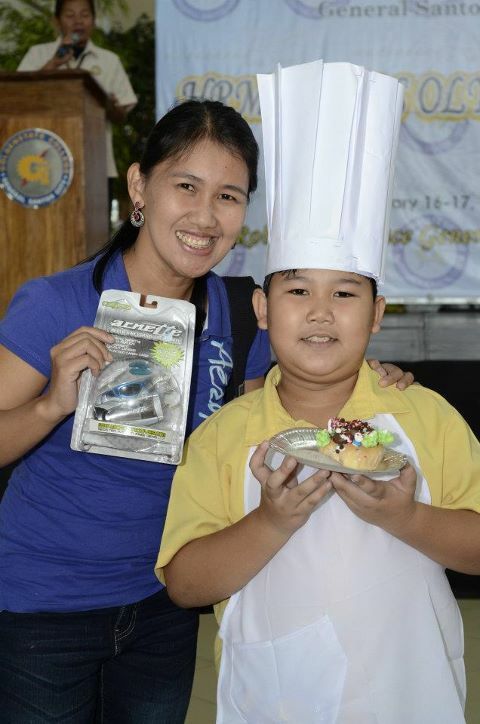 So, his day from culinary competition where he and his group won 1st prize from the cup cake decorating contest made even happier. So, congrats, Yuri for a job well done!